Red Rocks Foot & Ankle Center (Littleton) - Book Appointment Online! Since 1982, Allied Foot & Ankle Clinics has been working with patients to provide the best podiatric care for patients in the Denver Metro area. Dr. Benenati, Dr. Valenti, Dr. Saeed, and Dr. Nassau's experience in podiatry is coupled with genuine concern for their patients. All our staff is dedicated to your comfort and prompt attention as well. Our goal is to help you maintain healthy feet. 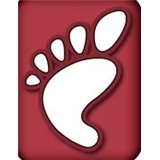 This web site provides you with an overview of our practice and the field of podiatry. As you navigate the site, you'll find information about Allied Foot & Ankle Clinics's practice philosophy, physicians, our 3 convenient Denver Metro office locations, insurance policies, and appointment scheduling. Please browse the site and feel free to contact us with any questions. This was a follow-up visit from two weeks ago regarding a cut on my foot that wouldn't heal for months. The staff is fast, friendly and accommodating, and Dr. Saeed knew exactly what to do. Thanks to his care, my cut has almost healed completely in under a month!